Easter is around the corner and we are celebrating all things famiglia at Montecasino. If you and your family are in Joburg over the Easter weekend, make sure you visit because we have lots of things for you to do and enjoy. 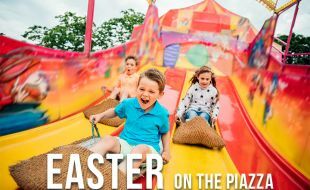 The Piazza will be turned into a family feast of fun and delight with plenty of entertainment to keep the kids busy while you sit back and relax. From giant inflatables and interactive games, to a kiddie’s creative corner and dedicated Hopper Squad to entertain the little ones - there are activities to enjoy all day long. And don’t forget to book a table at any one of our brand new restaurants on the Piazza – Milk & Honey, Hussar Grill, Malt Barrel & Fire, Ocean Basket, Portulgalo or Col’Cacchio.